Updated Wednesday March 20, 2019 by SMSA. SMSA is looking for Selects Coaches for the 2019 season. We need coaches from Mite through Midget for girls and boys. Please fill out the form, even if you have already emailed interest to one of the executives. All completed forms need to be emailed to the competitve director at al@stittsvillesoftball.org. Deadline for the form is March 31st. 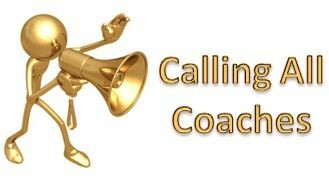 *Please note that all Selects coaches must coach during the House/Fun League season to be able to apply.